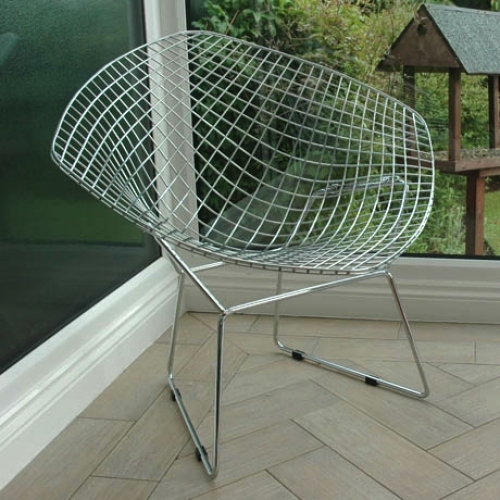 The Harry Bertoia Wire Diamond Chair looks fantastic with or without its seat pad cushion and provides a stylish and comfortable sitting option for any lounge! As shown in the pictures, it really compliments existing and other furniture forms and is a fashionable designer piece sure to be centre of attention in any living space. Made in a super quality Chrome finish that looks great! 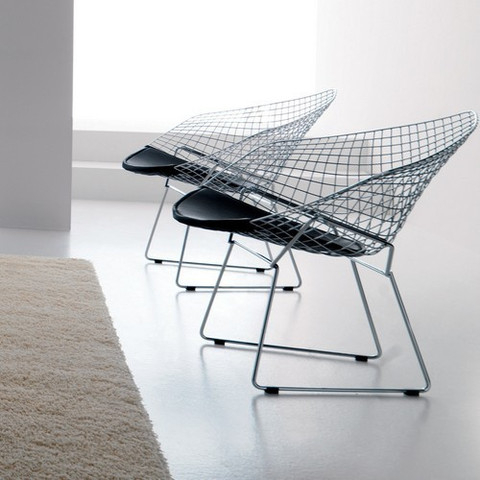 The Bertoia Wire Chairs are surprisingly strong and comfortable, while maintaining a magnificent appearance. 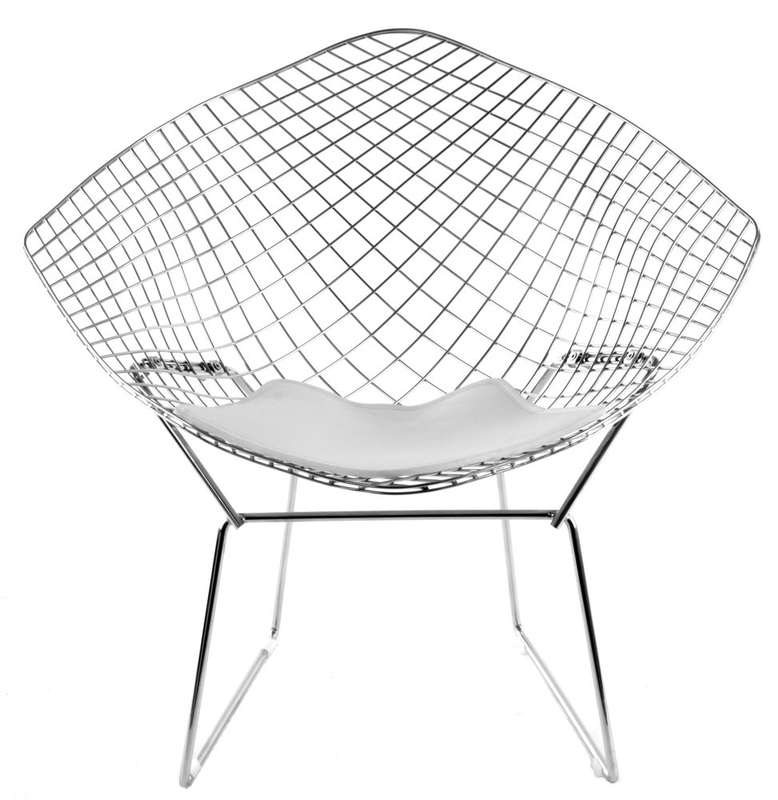 Bertoia once said of his famed wire chairs, ”If you look at these chairs, they are mainly made of air, like sculpture. 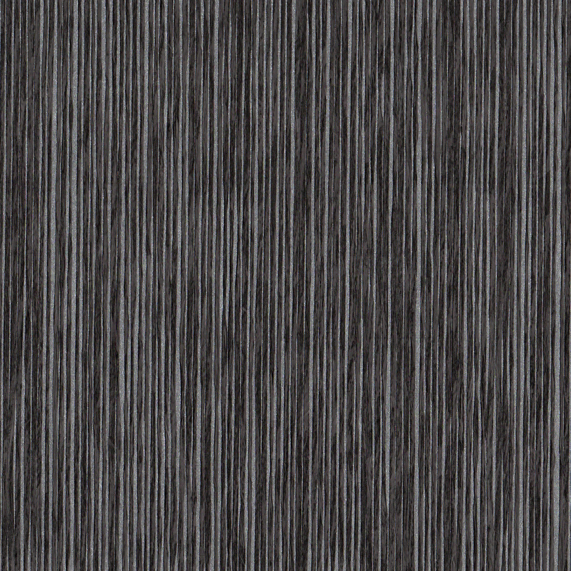 Space passes right through them.” The wire chair truly is a masterpiece. 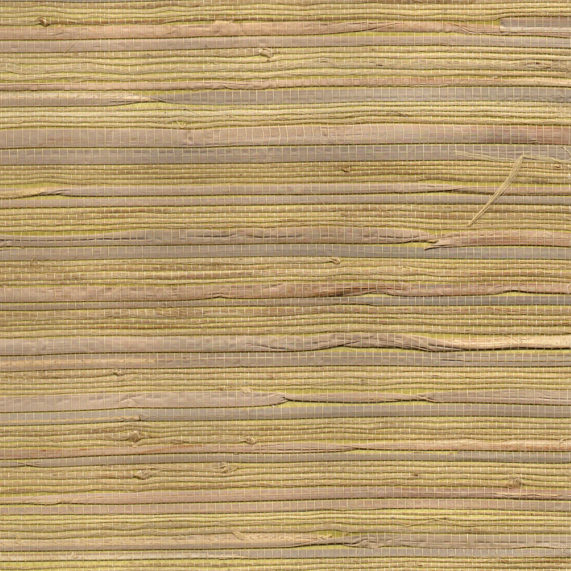 Also look out for matching Wire Side Chair. 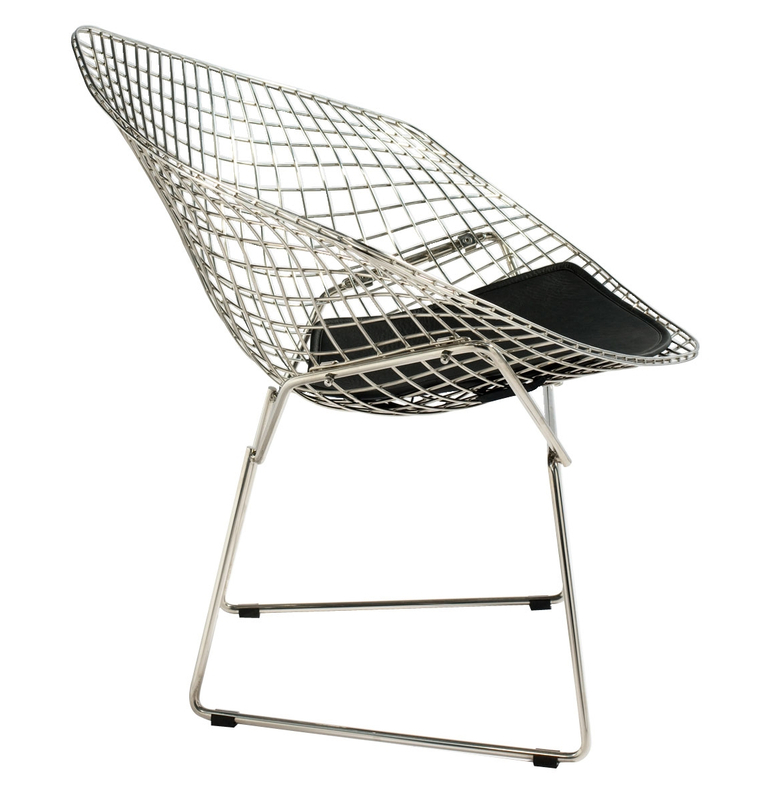 In the 1950s Harry Bertoia was a member of the famed Cranbrook Academy of Art. 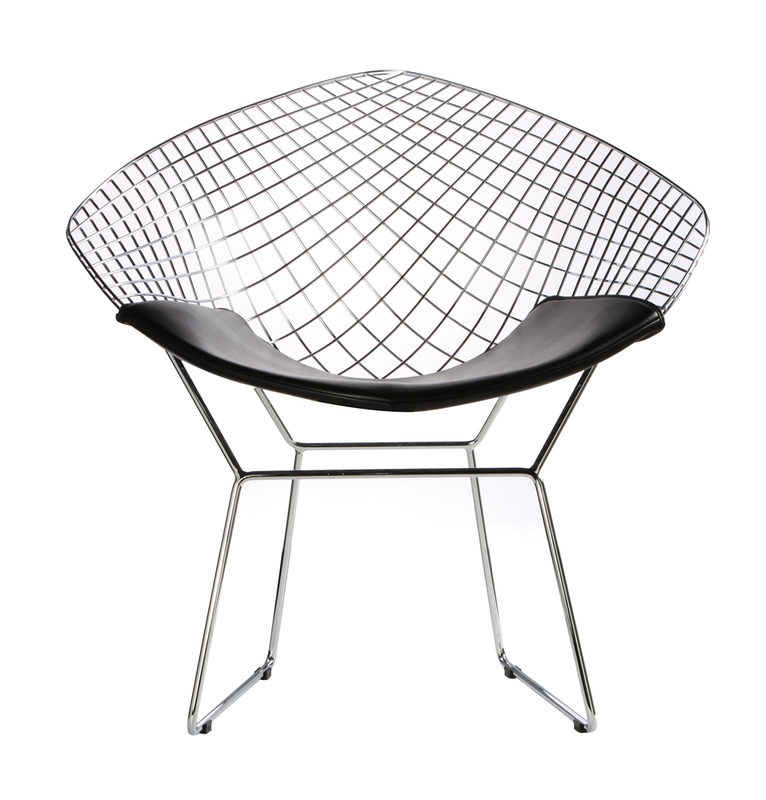 There Bertoia created his most famous furniture with five different wire chairs. 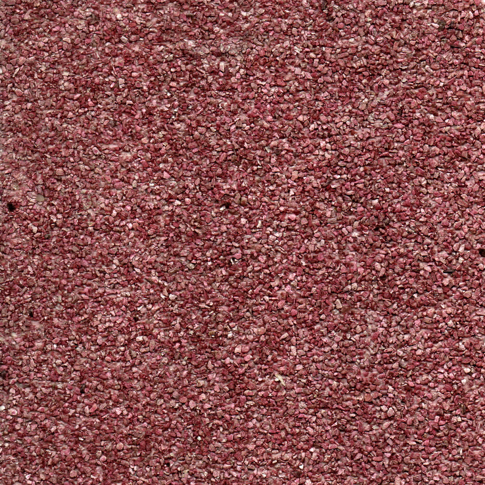 These magnificent pieces have been used in hospitality, commercial and residential locations. 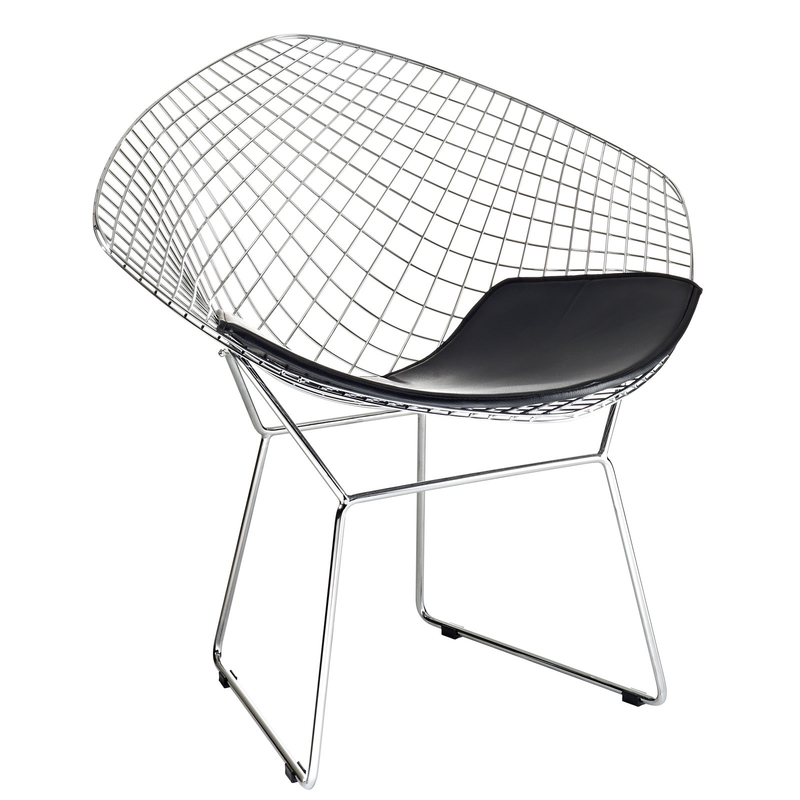 The Harry Bertoia Wire Chair is a product of this institute’s exchange of mutual ideas amongst some of the most famous designers in the world such as Charles Eames, Eero Saarinen, Florence Knoll and Ray Kaiser. Categories: Chairs, DINING, Dining/Side Chairs, Home & Office, LIVING, Lounge Chairs, Product Category.